Does it seem like there are a plethora of Managed WordPress Hosting options available now? And I love the fact that GoDaddy has stepped into this space along with everything else they’re doing to support the WordPress community. Needless to say I was excited about talking with the person who is part of this movement at GoDaddy and is behind the scenes with one of the absolute best on-boarding processes I’ve seen when it comes to installing and getting up and running with WordPress. Gabe was a champ and we addressed the ‘elephant in the room’ so to speak (the elephant that GoDaddy has had a reputation for not being a top hosting choice). I’m a firm believer that regardless of past experiences, when a company makes a concerted effort and improves their products and services it’s worth giving them another shot. The efforts by the team at GoDaddy are pretty impressive to say the least. Before we get into all the WordPress & Godaddy awesomeness, can you share how you got into all of this? Apparently you taught yourself how to code while deployed in Afghanistan? Let’s address the elephant in the room… GoDaddy has changed a lot (for the better). Before we get into how much has changed and the new WordPress experience you guys are rolling out… what made you guys decide to put more energy into WordPress? Can you share the evolution of WordPress & GoDaddy? 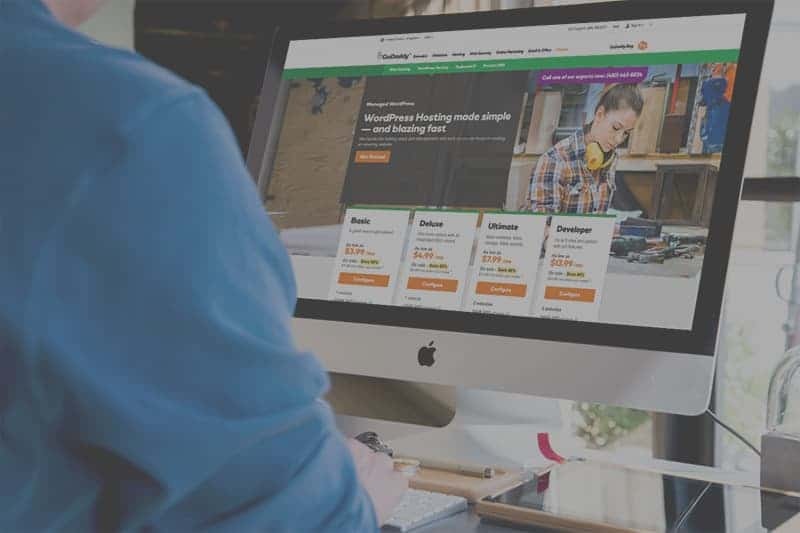 You shared a sneak peek of the new WordPress OnBoarding process for GoDaddy customers… all I can say is wow! It looks fantastic. And I love that you partnered with Beaver Builder (love those guys). Can you explain this new process to the listeners? Plugins: I didn’t know you guys had plugins… as in plural. I’ve used the P3 profiler to test the plugin load on my site. Can you share a little more about your plugins & strategy? Do you have any favorite plugins? What’s coming fro WordPress & GoDaddy? ← Audio Content… Still on the Fence?